We are pleased to announce 253 more high resolution images for the University’s Art Collection, available on LUNA, and through the collections.ed.ac.uk portal. These were taken by ECA photographer Thomas Morgan over the summer, and amount to roughly 25% of the LUNA collection. Highlights include improved photographs for the William Johnstone paintings (some of which you can see for yourself in the foyer of the main library) , and lots of sculpture photography. 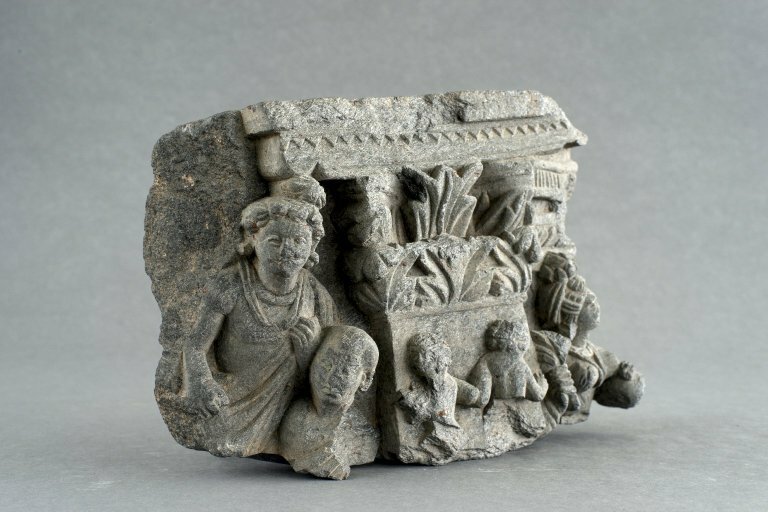 The 1st century AD Gandharan sculpture fragments (find out more), which are among the greatest treasures in the art collection, can now be seen in all their glory, from multiple angles, thanks to Thomas’ hard work. As ever, the heavy lifting in getting this material out to Library Digital Development was done by the Art Collection team (Neil, Jill and Anna).